If this newsletter fails to display properly click here. Welcome to our midsummer issue. Just as the sunny season is in full swing, so are preparations for the celebrations of the Czechoslovakia centennial, on 28 October. (While Czechoslovakia peacefully separated into the Czech and Slovak republics in 1993, we still consider it our first modern independent state.) Updates about the centennial celebrations can be found on our special “Czechoslovakia“ page while other events are listed in our Calendar. Below you will find our pick of interesting news and novelties for winter. Even a casual glance at a map of Prague reveals the extent to which greenery forms a significant and integral part of the city. According to a recent study by the Dutch agency TravelBird, Prague is among the world’s greenest cities. 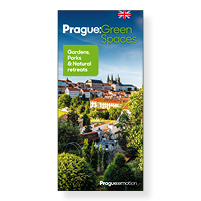 Our new brochure will let you peek inside Prague’s historical gardens, city orchards and parks, take you to its islands and among the deep valleys and rocky precipices of its protected natural areas where you will scarcely believe you’re still within the city. The guide also includes practical tips and many photos. It is available for free from our information centres or you can order or download it. A small new museum dedicated to glass has opened in the Portheimka Villa, a Baroque summer palace built by Kilian Ignaz Dientzenhofer, a noted Prague architect, in the Smíchov district. 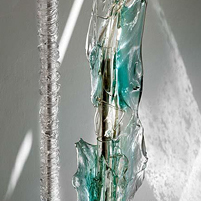 The permanent exhibition features some 170 items by Czech glass artists, created between late 1950s and today. The works are installed in a manner that underscores the Baroque architecture of the villa. Individual rooms are styled so they bring to mind their original purpose – as expressions of status, to refresh and delight the mind, eye, and spirit. 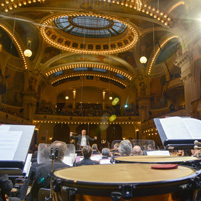 The artists represented include legends Stanislav Libenský and Jaroslava Brychtová, Miluše and René Roubíček, Václav Cigler and František Vízner. More. 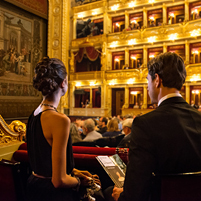 Winter is the perfect season to enjoy opera in Prague: The rich sound of the orchestra, sumptuous costumes and sets, the power of the singers‘ art (Prague opera houses are not large and from the better seats the experience is often quite intimate) all combine to create great memories. This winter, you can choose from the likes of Tosca, La bohème, Don Giovanni, La traviata or The Magic Flute. The cherry on the operatic cake is Wagner’s Lohengrin, directed by the composer’s great-granddaughter Katharina Wagner. 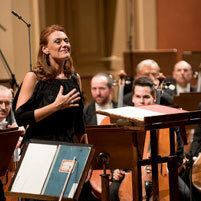 A debut collaboration between the country’s premier symphony orchestra and megastar conductor Simon Rattle will bring three evenings of music by Dvořák and Mahler, with solo performances by mezzo Magdalena Kožená and tenor Simon O’Neill in Mahler’s Das Lied von der Erde. More. In the middle of November, the programme of the 2019 Prague Spring International Music Festival will be released. The festival will be held between 12 May and 4 June, and tickets go on sale on Wednesday 12 December. So far we know that the opening concert will be performed by the Bamberger Symphoniker and conductor Jakub Hrůša, playing Smetana’s My Country. More. The Slav Epic, a series of monumental paintings, is shown on premises linked to the creation of independent Czechoslovakia. Mucha also decorated the Mayors‘ Salon in which the paintings are shown. Due to the venue’s limited size, 11 smaller canvases were selected for the exhibit, depicting scenes from the history and mythology of Slavic nations. The paintings are shown without frames, attached to a steel construction that makes the reverse visible for the first time. Renowned Czech bass-baritone Adam Plachetka, wearing Händel’s luminous armour, will burst onto the Rudolfinum stage in the role of Saul. This exceptional evening, however, will have not one but two kings, as the role of David was entrusted to superstar countertenor Andreas Scholl. The two will be accompanied by the Czech Ensemble Baroque orchestra and choir. The atmosphere of a mediaeval metropolis during the rule of Emperor and King Charles IV (1316-1378) is captured in virtual and actual models, videomapping installations, archaeological finds, and other artifacts. The exhibition demonstrates how mediaeval structures such as bridges were built and shows models of notable buildings. Visitors can also learn more about Charles’s myth-shrouded birth and return to Prague in 1333, his coronation and funeral. An interactive playroom is provided for the youngest of visitors. Come relive the story of love, passion, suspense, and hope set in the slums of Charleston alongside its hero, Porgy. This seminal work that blends the roots of jazz and black folk music, will be performed by Czech Radio Symphony Orchestra and four exceptional soloists, all under the baton of British conductor, pianist and organist Wayne Marshall. An abridged, 80-minute concert version of the opera will be performed. The irrepressibly energetic and passionate French singer has charmed the world with songs that blend the traditions of Gypsy jazz, French chanson, melodious pop, swing, and variety music with more than a hint of Latin style and flamenco. In Prague she will present her upcoming new album, due out this autumn. February is perfect for planning your next vacation. Come see us at the largest Central European travel trade fair, Holiday World 2019. We look forward to seeing you at the Prague stand where you can choose from our full range of free publications and discuss Prague’s latest and greatest tourism offerings. We have recently tweaked our visual style and with it, our e-shop. Now you can select our printed maps and brochures by language or browse them online. They are all available for free, the only cost to you is postage. Take a look at our other offerings as well, be they guided tours or souvenirs.